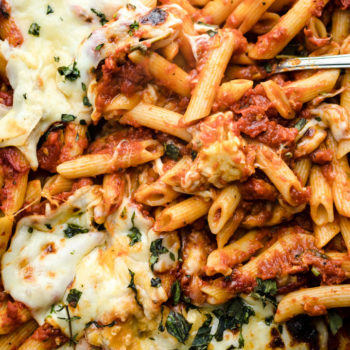 An easy and flavorful baked ziti made from scratch! 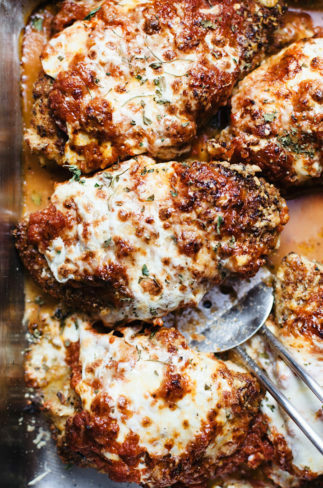 So cheesy, saucy, and a one dish meal that the whole family will love. 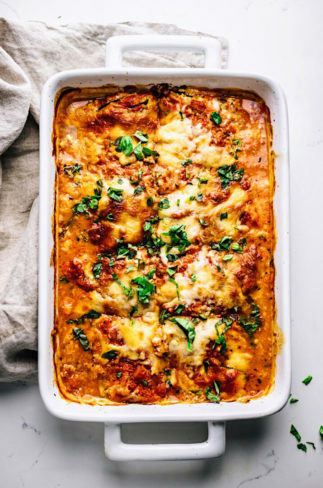 Takes only 30 minutes to make and is all things delicious and cheesy! I grew up with my mom making baked ziti all the time. It’s simple, easy to throw together, AND the whole family loves it. This is a great dinner when you are running short on time and ingredients! All you need is pasta noodles, tomato sauce (or even canned crushed tomatoes), cheese, and dried herbs. 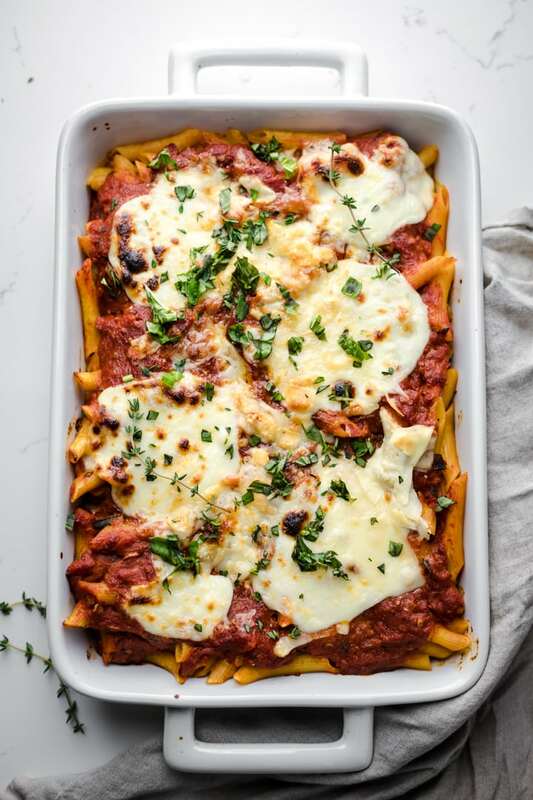 This easy baked ziti is so yummy, freezer friendly, and takes only 20 minutes to bake! It’s a win-win. (1 -3) Boil pasta according to box directions with generous pinch of salt. When draining reserve 1/4 cup of pasta water. Add back to pot with pasta with Parmigiano Reggiano. Then stir in fresh herbs and 1 cup of tomato sauce. (5) Transfer penne to a 13×9 baking dish or pan. Cover with remaining tomato sauce. (6) Then add 1 cup of mozzarella and 1/2 cup of Parmigano Reggiano cheese. Bake covered loosely in foil for 20 minutes then brown the cheese by broiling on HIGH for 1 to 2 minutes uncovered. 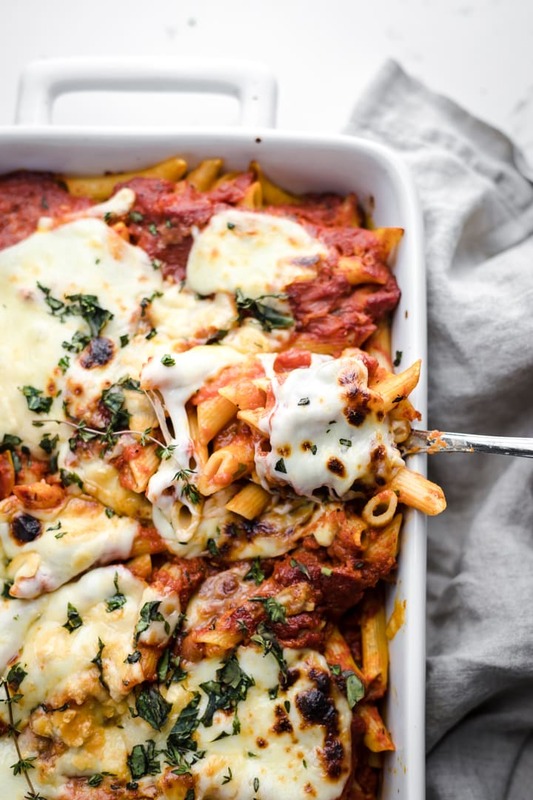 Should I Cover Baked Ziti in the Oven? Yes, you want to make sure your pasta has the right amount of moisture while baking to avoid drying. It’s important to keep the foil loosely sealed on top so it doesn’t stick to the cheese. After baking, remove the foil and put your oven on HIGH broil for 1 to 2 minutes to get that perfect browned cheesy top. 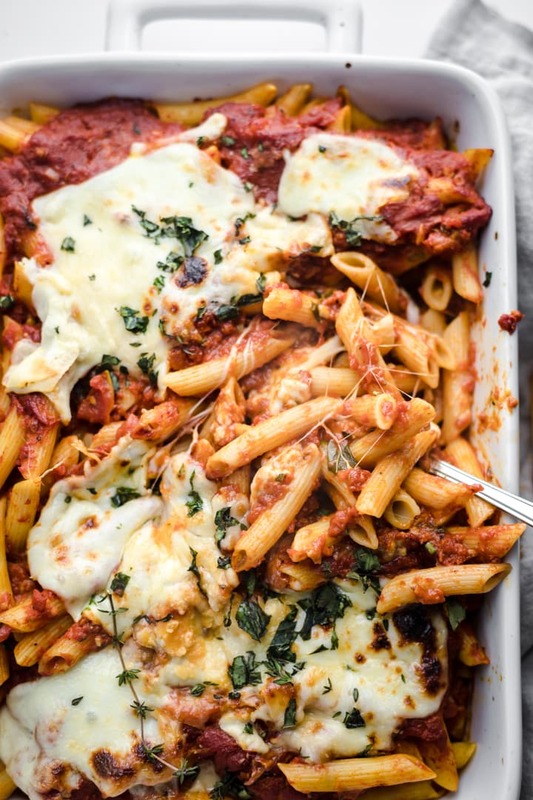 What Can I Add to Baked Ziti? The great thing about baked ziti is it’s so versatile. 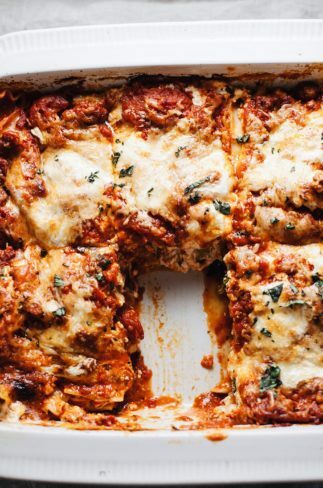 Some of my favorite things to add to this recipe is roasted vegetables (zucchini, eggplant, tomatoes, broccoli), ricotta cheese for more creaminess and cheese, and cooked sausage or ground beef. A secret that helps with reheating almost any food to keep from dying up is adding a splash of water. Preheat oven to 350F and add about 3 Tablespoons of water to help moisten pasta and ingredients – you can also add 1/4 cup of sauce as well. Bake covered with foil for 15 minutes. Cheesy pasta noodles: Leave 1/4 cup of the pasta water in with the noodles after boiling, stir parmigiana regiano or Pecorino Romano in with the noodles and water. This will create a creamy sauce with the noodles. It helps with flavor, and for the sauce and cheese to stick to the noodles while baking. There is nothing worse than baking pasta with noodles that don’t have saucy, cheesy goodness all over them. For sauce: You can use your favorite homemade sauce, store-bought sauce, or even canned crushed tomatoes. I used my family’s famous San Marzano Tomato Sauce. Easy to make and is the perfect addition to any Italian recipe! Make it healthier: One of my favorite ways to make pasta recipes healthier is using a lentil or chickpea pasta. It’s made completely from lentils or chickpeas and has a ton of plant-based protein and is gluten free. I love using this pasta because it tastes just like regular pasta noodles but with much more nutritional value! 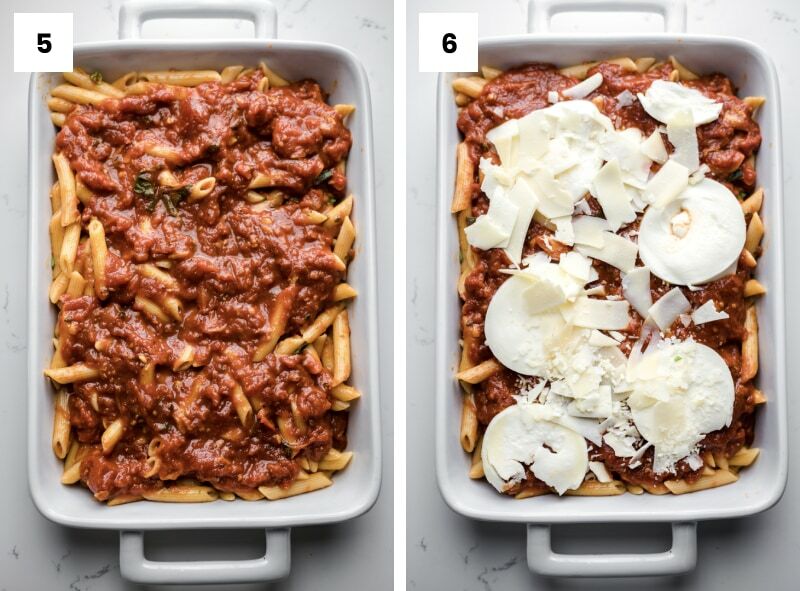 Make ziti ahead of time: You can prepare the ziti ahead of time, skip baking, then cover and refrigerate for up to 3 days. Then bake according to instructions. Preheat oven to 350F. 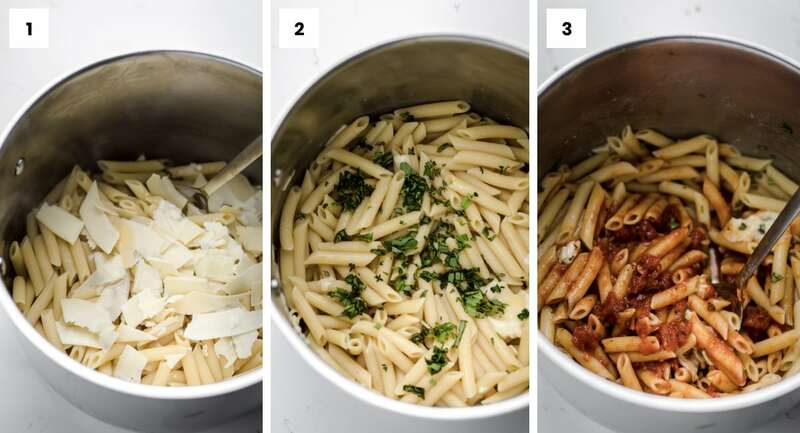 Cook pasta according to box directions with a generous pinch of salt. Drain pasta and reserve 1/4 to 1/3 cup of pasta water. 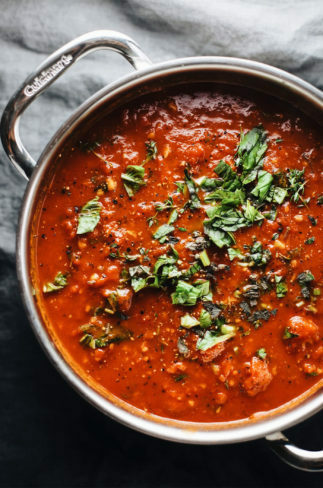 Add pasta and pasta water back into pot and stir in 1/2 cup Parmigiano Reggiano, 1 cup of tomato sauce, and all of herbs (basil, thyme, and oregano). Pasta should have a creamy and cheesy consistency. Transfer pasta to a 13x9 baking dish. Layer with rest of tomato sauce, mozzarella, and 1/2 cup of Parmigiano Reggiano. Bake covered with foil for 20 minutes until cheese is bubbling and browned. Garnish with fresh herbs and enjoy! Cheesy pasta noodles: Leave 1/4 cup of the pasta water in with the noodles after boiling, stir parmigiana regiano or Pecorino Romano in with the noodles and water. This will create a creamy sauce with the noodles. It helps with flavor, and for the sauce and cheese to stick to the noodles while baking. There is nothing worse than baking pasta with noodles that don't have saucy, cheesy goodness all over them. For sauce: You can use your favorite homemade sauce, store-bought sauce, or even canned crushed tomatoes. I used my family's famous San Marzano Tomato Sauce. Easy to make and is the perfect addition to any Italian recipe! Make it healthier: One of my favorite ways to make pasta recipes healthier is using a lentil or chickpea pasta. It's made completely from lentils or chickpeas, is full of plant-based protein, and is gluten free. I love using this pasta because it tastes just like regular pasta noodles but with more nutritional value! 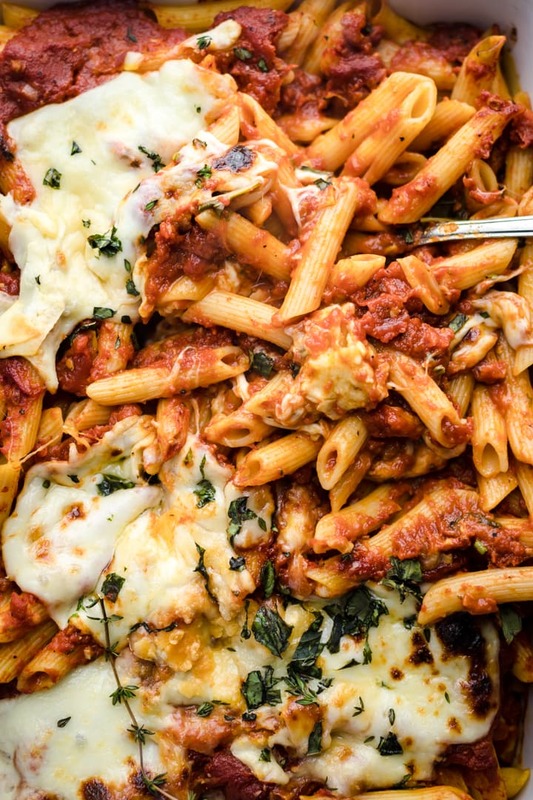 The great thing about baked ziti is it's so versatile. Some of my favorite things to add to this recipe is roasted vegetables (zucchini, eggplant, tomatoes, broccoli), ricotta cheese for more creaminess and cheese, and cooked sausage or ground beef.